Just thought we'd share a couple more shots we took of the Phlegm artwork we saw at the weekend. 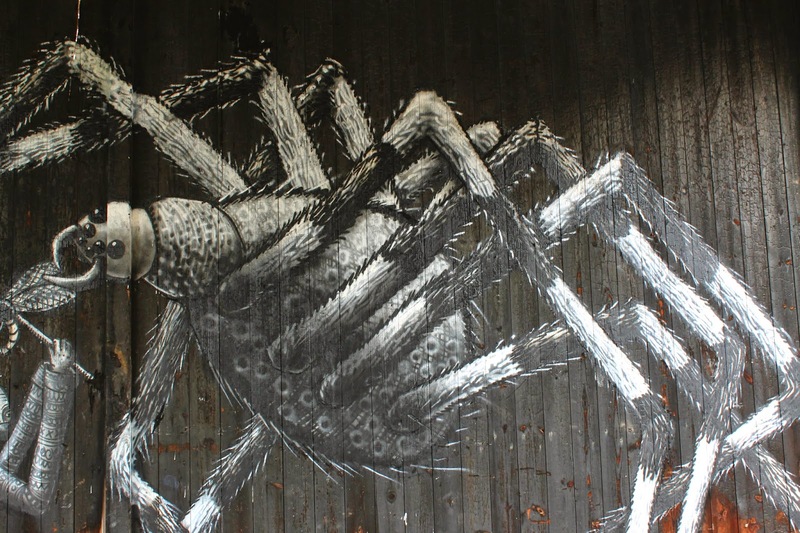 These two are close ups and really show off the fine detail of Phlegm's work. We wonder how long it takes to create a piece of work this size and if it is done in one sitting. The location of this piece is a burnt out barn and the natural black, burnt wood works perfectly with the rest of the monochrome composition. 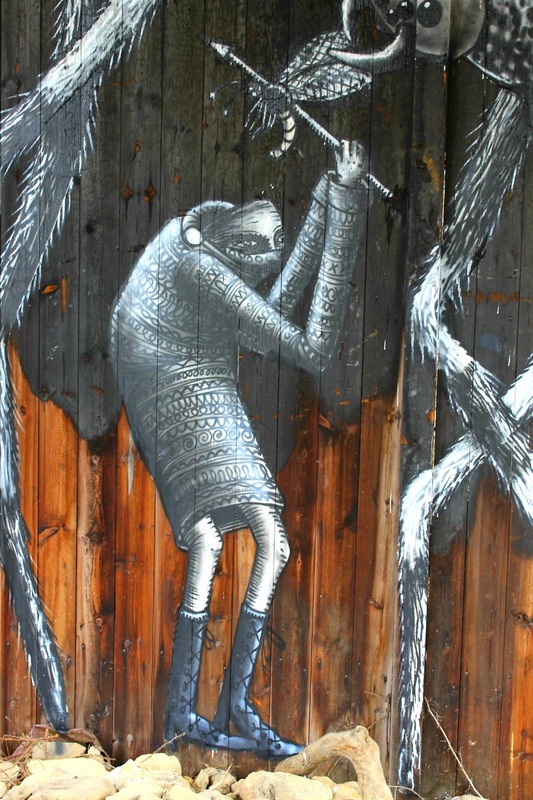 Yes that is a piece by Phlegm that he was commissioned to do on the Queen Elizabeth Hall in 2013. Higher up on the adjacent wall is a piece by a street artist known as Roa. I don't know if both pieces are still there which is why it is so important to photograph them when you see them.